ORLANDO - On August 21 parts of America will experience a total solar eclipse. For those who don't know, this means the moon's orbit will line up perfect with the Earth and the sun, creating a "hole in the sky" that will turn day to night. This experience is likely once in a lifetime, so we made a once in a lifetime to playlist to go along with it. Yes, "Total Eclipse of the Heart" was obviously on it. This one speaks for itself. The moon is quite literally going to steal our sunshine, so that's a no brainer. Bill Withers says there "Ain't no sunshine when she's gone." Unconfirmed if his lady leaving is the reason for this solar eclipse, but thankfully since the total eclipse will only last two minutes she will probably be back soon. I don't believe that George Michael and Elton John collaborated on this song with this eclipse in mind, but I guess you never know. 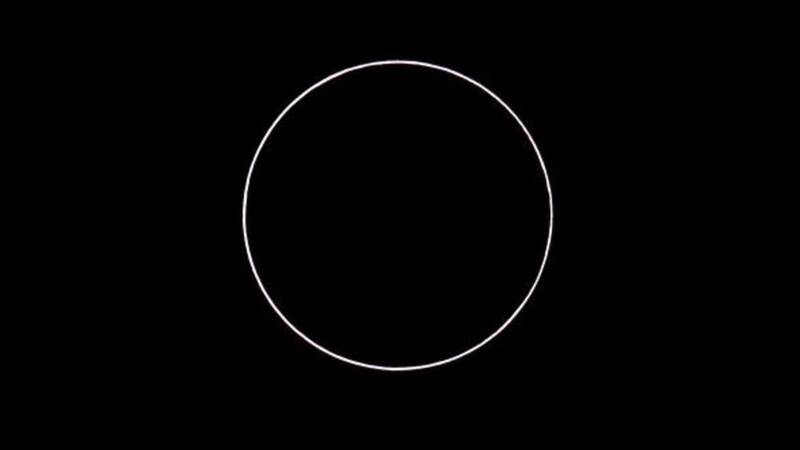 When the moon covers the sun in the totality, it will essentially create a "burning ring of fire" just like this classic Johnny Cash tune. The solar eclipse is quite literally back in black, having not been seen in America since 1979. You always need a classic Broadway musical tune in a playlist (right? ), and none better than "Aquarius." After the total solar eclipse, we'll all be letting the sunshine in. The sun physically can't fight being seemingly covered up by moon, that's why this entire phenomena is happening. Duh. "I'll see you on the dark side moon," Pink Floyd says. Us lunatics will see you there, Pink Floyd. We'll all be playing among the stars come August 21st. This one is just a feel good tune, about skies...and stars. So, it's not really the end of the world, but back before people knew what solar eclipses were it sure felt like it! Emperor Louis of Bavaria witnessed an eclipse in 840 and was so terrified he died shortly afterward. The fight between his three sons over his succession then lead to the division of Europe into France, Italy and Germany. Little darlin', it's been a long, cold, lonely.....two minutes since the sun went behind the moon. That's how it goes, right? Because you can't have a playlist about a space phenomena without Ziggy Stardust himself. Let's face it, Rihanna has a song for every occasion and this eclipse is no exception. So this one is a bit of a stretch, but the eclipse DOES happen on a Monday, and a full moon is known to make people a little crazy. Manic, even? This is a Grammy Award-winning song that has the word ECLIPSE right in the title. Boom. Done. Get Rid of Under-Eye Bags with Plexaderm Skincare!